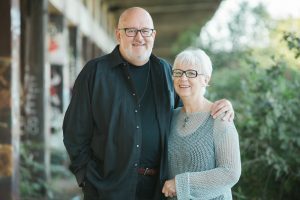 The calling of God to his people to be faithful never changes, but the specific shape of faithfulness changes because God’s people live in different settings that raise unique challenges. It should therefore be possible—and instructive—to identify exemplary believers throughout history to learn how they applied the call to faithfulness to their particular moment in history. This is exactly what 42 scholars do in Sources of the Christian Self, a new book edited by James Houston (Regent College) and Jens Zimmermann (Trinity Western University). Sources of the Christian Self is divided into seven sections, with essays on individuals (or groups) from each period: Old Testament, New Testament, Early Church, Middle Ages, Age of Reform, Modern World, and 20th Century. I enjoyed being able to read through the chapters in order to catch something of the flow of history, or to open the book at random and find a discreet chapter on some person (or group) that can be read on its own. And the 42 whose stories are told is fascinatingly diverse including: Abraham and Jeremiah, James and Jude, Ambrose and Timothy of Baghdad, Aquinas and Julian of Norwich, Thomas More and Teresa of Avila, Charles Wesley and Christina Rossetti, C. S. Lewis and Flannery O’Connor. It is wonderful to meet old friends and also to make new ones—like Timothy of Baghdad, Thomas Becon, and a variety of African Christians. Every person who is covered has clay feet, flawed yet eager to know and live out “what it means to be a Christian and therefore a fully human being” [p. xxv]. Please do not imagine that Ellul’s challenge applies only to scholars and leaders on the cutting edge of society. The “points of maximum tension [in] a sinful world at enmity with God” are as suicidal and as real in ordinary lives and events as they are in the more rarified worlds of academia, commerce, art and politics. Sources of the Christian Self is serious, not light reading. The intended audience is intelligent Christians willing to take the time to grow theologically by reflecting on historical studies on Christian identity over time in a changing and broken world. Or as Houston and Zimmermann put it, “theologically interested, broadly educated readers with interdisciplinary affinities, eager to understand their own Christian tradition and to engage the wider intellectual and often secular world” [p. xxiii]. 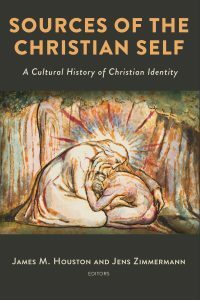 Sources of the Christian Self: A Cultural History of Christian Identity edited by James M. Houston and Jens Zimmermann (Grand Rapids, MI: Eerdmans; 2018) 682 pages + indices.